Mel Kiper remains one of the most popular NFL draft experts in the national media landscape today. No surprise. He’s been working his job at ESPN dating back all the way to 1984. The draft is his life. While he may not have a deep background playing the game, nobody can question his work ethic. That why Chicago Bears fans always at least hear what he has to say. Lately he’s been quite about the Bears though. Not a surprise since the team doesn’t pick until the 3rd round this year. However, Kiper finally reached a point where he became comfortable putting out a deeper mock draft than usual. One that goes three full rounds. 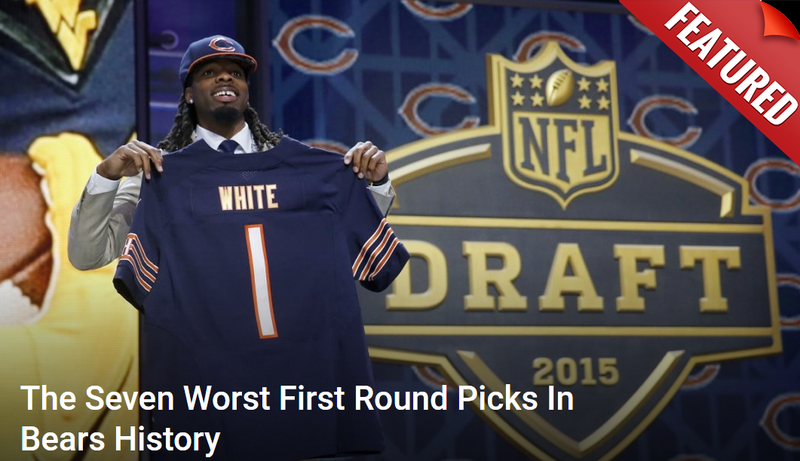 So who did he have Ryan Pace grabbing at #87? Needless to say it was a running back, but unlike his colleague Todd McShay, Kiper went for somebody with a little less size but a lot more wiggle. The Khalil Mack trade means Chicago doesn’t have a first-round pick, while the trade up for Anthony Miller took away its Round 2 pick. Singletary didn’t run well at the combine, but even at 5-foot-7 he has some juice between the tackles. He had a huge workload for the Owls in his career — 714 carries over the past three seasons — but he could help replace Jordan Howard. The Bears have already met with Singletary. The running back himself said they more than most teams showed interest in him. It’s not a surprise. Many of his skills match what they’re looking for. He’s athletic and quick, showcasing a good pair of hands to catch passes. Most importantly he knows how to find lanes down the middle. Something neither Jordan Howard nor Tarik Cohen was particularly good at. His height is a concern. Shorter backs tend to struggle at times in the NFL. Then again with Cohen involved it’s hard to sustain that argument. Nobody can argue with Singletary from a production standpoint. He racked up 4,287 yards and 66 touchdowns rushing at Florida Atlantic. Those aren’t numbers to scoff at, even if his competition wasn’t always the strongest. This kid can play.